Careful planning is an essential first step to any building project, and pools and spas are no exception. A site must be carefully chosen, budgetary and legal restrictions taken into account, decisions that need to be tackled before your pool or spa becomes a reality. As you begin to plan the addition of either of these water features to your own home or backyard, keep in mind that they are permanent structures and will be prominent features in or around your home for a long time to come. This fact alone should encourage you to spend the time and energy necessary to create a facility that will still give you pleasure years after completion. Swimming pools and spas are no recent invention. The remains of 5000-year-old pools are still visible in India and Egypt today. Today, the United States lays claim to more than 8 million pools and spas. That’s not surprising, when you consider the various benefits of owning these facilities. Pools and spas provide the entire family with a great place to relax, exercise, escape the heat, and spend time with friends and family. How you will use your pool or spa is the first things you need to consider, as you plan it. You may want a spot where you can relax and entertain guests, or as a healthful exercise or therapy center. Each use has certain requirements, and defining the uses now will help you choose the best location for your pool and decide on the style of pool that best meets your needs. If you intend to swim for exercise, your best choice will be a rectangular pool-the longer the better, and deep enough at both ends to negotiate turns safely. But a pool used for relaxation and entertainment should have a large shallow area to splash around in, space around the pool for sunning, and adequate room to set up tables and chairs nearby. In addition to the use of your pool, you need to consider the financial aspects of owning a pool or spa. The effect of a pool or spa on your property value, the expenses of maintaining your pool or spa, and the legal responsibilities you’ll incur as your new facility attracts friends and kids from the neighborhood. Property value: The value of the property usually increases, when you add a swimming pool or spa to it . If the pool is attractive and not highly specialized, it will be considered an asset, although perhaps not by families who have small children or who don’t want the upkeep of a pool. Property taxes: There are other ownership expenses, though construction is usually the major cost of a pool or spa. Because these features generally increase the value of your property, the assessed valuation may go up, resulting in an increase in your property taxes. Assessors don’t treat all pools in the same way. In-ground pools are permanent structures and are taxed on the same basis as your home. Above-ground pools are usually taxed as permanent structures, especially if they are framed by decking, although some communities look on them as temporary and not subject to taxes. In areas where a pool can be used only for part of the year, the taxes may be reduced proportionally. Insurance: Before work begins you would want to check with your insurance agent to be sure you have adequate protection. The need for insurance protection begins when the first employee of the pool builder sets foot on your property. Though the contractor and his subcontractors should carry liability and property damage insurance, make sure of these protections. Owning a swimming pool can actually lower your fire insurance cost. If you live in an area where the fire hazard is high, or where there is no municipal water supply, your pool will be a valuable source of water for fighting a fire. Utility costs: You will require water to fill your pool, fuel to heat it, and electricity to operate the filtration system. You’ll have to pay for water to fill your pool, unless your community allows pool owners a free fill. Expect a higher water bill for the month when you fill the pool. Gas, oil, or electricity to heat your pool will be the biggest utility expense. Rates can vary widely, depending on the type of fuel as well as the size, use, and water temperature of your pool. The pump in the filtration system requires electricity, but the expense of running the pump will be significantly less than your heating cost. The pool’s size and water temperature, the area’s climate and electric rates, and the length of time the filtration system needs to be operated will determine the cost. To obtain a rough estimate of your total utility costs, check with your local utility companies, pool builders, and other pool owners in your neighborhood. Pool maintenance: Routine pool maintenance will include keeping the water chemically balanced and sanitary, maintaining the support equipment, and cleaning the pool surfaces. You can contract a pool service company to perform these chores, or you can do some or all of them yourself. If you elect to do your own maintenance, your major expense will be for sanitizers and oxidizers to keep the water clean. Their cost will depend on the pool size, the water temperature, the amount of time the pool is used, the number of people using it, and whether or not the pool is covered. Again, pool service companies, aquatic consultants, pool builders, and pool-owning neighbors can help you calculate your maintenance costs. Owner responsibilities: The regulations and laws relating to an owner’s responsibilities and liabilities vary from state to state and from community to community. Your best assurance of safe operation is to comply with your community’s zoning laws and health, safety, and building codes. For added protection, surround your pool area with a childproof fence and a pool alarm, or a multiple barrier system. You also should have a phone by the pool at all times. Make sure that young children using your pool are supervised by an adult who has proper lifesaving skills. If you have a pool safety cover, keep it in place when the pool is not in use, and remove it completely whenever anyone is in the pool. Keeping water clear and in proper chemical balance and the pool in good repair will also help to ensure the safety of swimmers. A pool or a spa represents a dramatic physical feature in any backyard. So it makes sense to choose its location with the same type of care you would give to any other important project involving your home. There are various professionals who can help you decide where to situate your pool or spa. These include architects, landscape architects and designers, soils and structural engineers, aquatic consultants, and pool and landscape contractors. But even if you decide to seek their help, you should do a little homework before hand studying the microclimates of your property, familiarizing yourself with building codes and other regulations, sizing up the landscape, and evaluating possible sites, particularly if your property has some unusual features. Building a swimming pool or spa-like any other addition or alteration to your property-entails a myriad of legal requirements set forth in deed restrictions, zoning laws, and building, health, electrical, fire, and safety codes. Take the time to look into all of these before you commit yourself to doing the job. When you design landscaping for your installation, remember that additions such as fences, decks, and gazebos must also conform to these same requirements. Building codes: Aimed at protecting you from faulty construction methods, these codes set minimum standards for design, construction, and materials used in building. Some communities have specific codes for pools and spas; others apply the requirements of the regular building code. Though most local codes are patterned after one of the national codes, communities can modify or add to these standards to satisfy local needs. 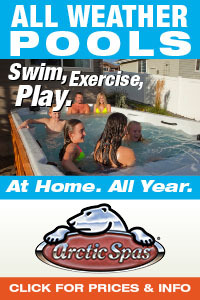 For example, some communities do not allow vinyl lined pools, while others ban one piece fiberglass pools. Check with your building department early in the planning stage-your pool options may be fewer than were first apparent. Health and safety codes: Your community may have specific laws covering such facets of pool ownership as water quality, lifesaving equipment, and protective fences and gates. Some communities incorporate provisions for pool construction into their health and safety codes, rather than in their building you need to consult both your local health and building departments to determine pool requirements and the jurisdiction each department has in pool construction operation. Deed restrictions: Somewhere in the deed to your property you may find restrictions that could affect the design and location of your pool, spa, and accompanying structures. These restrictions may bind you to rules set by a homeowners’ association or provide for a utility easement or right-of-way under, over, or through your property. Though the rules of a homeowners’ association can be changed by a vote of the members, deed restrictions can be altered only by mutual agreement among all parties bound by the restrictions or by court action. Zoning laws: These city or county laws govern land use-yours included. They can determine where you can place your pool or spa, how close to the property fines you can build, and how large you can make any may also contain ordinances governing the amount of lighting and noise you can create. Zoning laws usually have provisions for the granting of variances. If you can show that meeting the precise requirements of the laws would create an “undue hardship,” and that you would not be encroaching on the privacy of your neighbors, a hearing officer or zoning board of appeals can grant you a variance. Application must be made through your local building or planning department. Requiring fencing and self-closing gates around pools or spas. Utility companies and building and planning departments can tell you about any restrictions currently applicable in your community. Weather records can determine the average length of the swimming season in your area, but it’s the day-today weather on your property that determines your poolside comfort. Since the warmth or coolness of any outdoor pool or spa will be decided largely by its orientation, it is a good idea to study the microclimates of your property along with the regional climate and weather patterns. Any buildings, trees, or other obstructions on or even near-your property can have quite an effect on the amount of sunlight and wind the property around your pool site receives. A pool or spa in almost any outdoor location will serve well in midsummer, but wise planning can extend the season by several weeks, or even months. In many locations, if a proper design is adopted, there is no reason to close for winter at all. If you’ve lived in your present area for a number of years, you should have a feeling for the general climate in terms of average seasonal air temperatures, rain and/or snowfall patterns, prevailing wind directions, and number of sunny days. If not, you can get climate information from the National Oceanic and Atmospheric Administration (NOAA), National Climatic Center, Asheville, NC 28801. Request the current annual issue of the Local Climatological Data for your area. You also may be able to get accurate climate and weather information through U.S. Weather Bureau offices, public power and utility companies, meteorology departments on college and university campuses, and agricultural extension offices. No matter how much official information you gather, take stock of the local weather as well as you can. Your neighborhood almost certainly will vary somewhat from the recording stations. And by all means talk with the “old-timers” in your neighborhood. They can extend your knowledge of the local climate by many years. Theoretically a pool or spa with a southern exposure (in the Northern Hemisphere) will be warmer than one that faces north. One that is west-facing will be warmer than one with an eastern exposure. And a pool facing south will be warmer than one facing west. There are exceptions to this rule, though. In desert areas, where noontime temperatures can be extremely high for several months during the year, a north facing pool can hardly be considered cold. In some coastal areas, on the other hand, a south- or west-facing pool can be cold because of ocean winds and chilly fogs in summer. If you’re installing a lap pool, orient it on a north-south plane to reduce eye strain from the sun. Consider the wind: Wind is almost as important a factor in selecting an outdoor pool or spa site as the sun. Too much wind blowing across the area on a temperate day can be unpleasant, as can no breeze at all on a hot summer day. Wind also draws heat from the pool or spa and causes water and chemicals to evaporate, adding to your energy bill and overall operating expenses. Place the pool where it uses the winds to the best advantage, then control the wind, if necessary, with fences, screens, trees, or plants. A grove of trees clustered around a pool, for example, can divert and disperse the wind, making any additional screening unnecessary. For a spa, there are various options with barriers such as a solid fence and baffles. Three wind systems-prevailing, daily, and irregular, high velocity winds-can have an effect on your poolside comfort. Prevailing winds: In some parts of the world, like the trade wind belt between the equator and 30 degree latitudes, the prevailing wind blows constantly for weeks or even months without letup. In the United States, prevailing winds are felt only in Hawaii, the Mojave Desert, in the high mountains of the West, and in parts of the Great Plains states. Diurnal or daily wind: Fortunately, these winds-important factors to consider in choosing a pool site predictable. 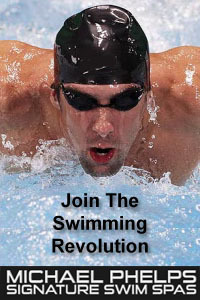 Some of them are most prevalent during the swimming season. In coastal areas and on the shores of large lakes, the still air of morning gradually gives way to increasingly strong breezes from the water during the afternoon. These onshore winds die down when the sun sets. By early evening, the air flow has reversed. In some areas, these afternoon sea breezes, approaching gale force, swoop down over the coastal mountains and make most pool activity impossible unless adequate windscreens have been installed. Inland mountain areas also experience reversible daily winds. Generally, the air flow is upslope during the day and down slope after sunset. Near the entrances to canyons and valleys, the evening breezes can be quite strong and cool. Meteorologists call these winds “foehns” (pronounced “ferns”), but residents know them under various local names-chinooks, bores, Santa Anas, or Boulder winds. They flow downslope or out of mountain basins. Though these winds are usually hot and dry, in some areas they feel cool relative to the local air; in the Pacific Northwest, the foehn can be moist. Before you make any decisions about the location of your pool, take a close look at how it will fit within the overall makeup of your property. A plot plan allows you to do this with ease. You will also need to consider such issues as access to the site by the contractor, landscaping elements, such as trees, your view of and from the pool, the slope of the site, the character of the soil, and any drainage problems. You will find it easier to evaluate the placement of various sizes and shapes of pools in your home garden environment if you work with a plan showing all the features of your property. Later on, you can use the plan to draw in decks and other structures, as well as landscaping and lighting. Several companies offer excellent, reasonably priced computer software for this purpose. Otherwise, you can make a scale drawing on graph paper with provision for overlay sheets of tracing paper. The tracing paper allows you to sketch various pool ideas without redrawing the base each time. Surveyor’s drawings usually locate your property and show streets, property corners, and distances between corners, plus the locations of any structures on the site when the lot was surveyed. Available through your county recorder or title company, these plans make an excellent starting point for your base map; simply transfer information from the plot plan to your graph paper. You’ll save hours of complicated measuring if you can obtain copies of a surveyor’s plot plan, architect’s drawings or house plans, and contour maps that illustrate vital statistics of the lot and buildings. Architect’s drawings usually show site plan, floor plan, elevations, and foundation details. Contour maps show the slope of the land with a series of lines, each separated from the next by a fixed difference in elevation-very helpful if you are building a pool on a hillside lot. Ask for contour maps in the city or county engineer’s office or in the department of public works. Dimensions of your lot Location of your house on the lot, as well as any doors and windows and the rooms from which they open. Location of decks, patios, walks, fences, walls, and other structures. Points of the compass-north. east, south, and west. Location of easements or any other rights-of-way contained in your deed. Potential problems beyond the lot lines that might affect sun, view, or privacy – tall trees or a neighbor’s second-story windows – for example, front, side, and backyard setback boundaries. Natural features, such as rock outcrops, soil types, or wet spots. Before excavation can begin, you must provide adequate access for heavy equipment. The minimum width for access to the pool site is about 8 feet, though 10 feet is preferable. Sometimes, small equipment can enter through a space only 5 feet wide, but because excavation will take longer, the cost will be higher. If equipment cannot be brought in, the pool must be hand dug at a prohibitive cost. (This technique is still often used in southern California to excavate hillside lots with existing homes and landscaping) Alternatively, you may be able to bring in the equipment over a neighbor’s property, but you, not the pool builder, must make the arrangements. You may have to remove fences and gates. If heavy equipment will cross a sidewalk, patio, or lawn, take measures to prevent damage. Again, this will be your responsibility. Though you don’t want to build your pool over a gas or water main or under a power line, your pool site should have ready access to necessary utilities. Some pool contracts require additional payment for unusually long runs to utility lines. Check that these costs have been included in the builder’s bid. Generally, it’s preferable not to build a pool or spa too close to trees and large shrubs. Leaves, blossoms, and fruit dropping near and in the water will add to your cleaning chores. And a tall tree or shrub may provide unwanted shade. In any case, these features will form an important part of the larger backyard landscape. For trees or shrubs that you want to keep, try to locate your pool so that the prevailing winds blow the debris away from the pool. In addition, plot the shadows thrown by the trees; then determine whether or not you would welcome that shade in and around your pool during the swimming season. Pleasing aesthetics, privacy, and safety are concerns when you choose a pool or spa location. When seen from inside your home, the new installation should be an attractive part of the landscape. On the other hand, the view from a neighbor’s upstairs window may infringe on your privacy. And if there’s a beautiful view from your property, try to position the pool so you will be able to take full advantage of the view from poolside. If children will use your pool or spa, you need either a clear view of their activities from the house or, as in the case of small children, you will have to be at poolside when they’re swimming. Mark the fields of view on an overlay of your plot plan. If you’ve already decided on a potential site, use an enlarged plan of the proposed pool area to mark the fields; you will want a large plan when it comes time to mapping out your landscaping. Ideally, you want a pool site that’s level and slightly higher than the land around it. (The same applies for in-ground spas. 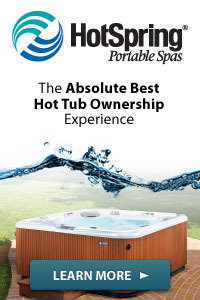 If you install an inground spa, consider the following information during planning.) The underlying soil should be stable and easy to dig. Also, you’ll need a dry site, with good surface and subsurface drainage. Good drainage conditions will depend on the slope of the land and the nature of the soil. By analyzing a contour map of your lot, you can determine where the land slopes and how steep the slopes are. You should also be able to locate any high spots, depressions, flat areas, or drainage paths. If you don’t have a contour map, wander around your property and take note of any of these features; then mark them on your plot plan. Even if your property has no ideal level area, remember that hillsides can become sites for magnificent swimming pools and spas. Because soil conditions affect the ease of excavation and also have the potential for damaging or even destroying a concrete pool or spa shell, you must determine the type of soil underlying your property. Once you’ve zeroed in on a possible site, you can have the precise nature of your soil identified by having a core sample analyzed. Gravel, sand, silt, and clay require special design features in the pool or spa. Though the pool or spa contractor may have had experience with these conditions, you may want to consult a soils engineer. Loam: Commonly called “garden soil,” loam is ideal for a pool or spa site in many parts of the country since it’s easy to dig. The walls of the excavation will be stable and not likely to collapse. In other areas, though, it may settle or compact causing damage to the shell. Sandy soil: The bane of pool builders, sandy soil usually caves in during excavation. Because the walls must be shored up with wood or sprayed with concrete to prevent collapse, the construction cost is increased. Sometimes, a concrete pool in sandy soil must be built with a thicker shell, or closer spacing of steel reinforcing bars, or supported on pilings. Wet soil: Whether waterlogged from surface runoff or in an area with a high water table, wet soil is best avoided, if at all possible. Excavating for a pool in wet soil is very expensive. And the pressure of the underground water can collapse an empty pool built in such soil, or float the pool out of the ground. This is also a risk with pools built near bodies of water where tidal variation can damage or even carry away an improperly anchored pool. Expansive soil: Known also as clay, it becomes a problem only when a significant amount of water percolates into the ground. The pressure exerted on the sides of even a filled pool can cause it to collapse. Some communities ban pools that cannot be reinforced to withstand the pressure of wet expansive soil. A concrete pool in expansive soil may have to be built with a thicker shell; it may also require expansion joints inside the pool between the shell and coping (the lip around the edge of the pool), the coping and deck, and within the deck. A trench dug around the pool and filled with loose material can help absorb the soil expansion. Surface drainage must be directed away from the pool area and any drainage lines must be made leakproof. Corrosive soil: Despite the advent of plastic plumbing pipe, corrosive soil can still present a problem when constructing a swimming pool. Though metal pools and the metal wall panels used with some vinyl-lined pools are treated against corrosion, special precautions may be required in highly corrosive soil. Your pool contractor or soils engineer should be aware of any problems in your area. Other considerations: Rock beneath the soil requires drilling and blasting and may add substantially to the cost of construction. Filled ground is unsuitable as a pool site unless the soil was compacted properly (this is difficult to assess) or unless the bottom of the pool will be deeper than the disturbed soil. The weight of a filled pool built on improperly compacted fill compresses the soil and allows the pool to settle into the ground. If it settles evenly, the shell can pull away from the deck or, in the case of a concrete pool, from the bond beam. Uneven settling can crack the shell of a concrete pool. An expensive solution is to support the pool shell on piers or pilings that sit on solid ground. Even though you may not see evidence of fill, dig some test holes on your potential sites. If you find layers of different kinds of soil or any manmade debris, you can be sure that the area was filled. Dealing with drainage: Usually, any natural drainage on the surface of your property or a neighbor’s property can be diverted away from a pool or spa site. Surface drainage need not be a problem if you avoid building your pool or spa in a low-lying area from which water cannot drain. During storms, muddy water collecting there can spill over into the unit. Water running off a slope or down a drainage path can fill your pool or spa with debris. If you can’t find a site free from runoff, you can landscape the area to divert the water. Disposing of underground water and pool or spa water is another story entirely. Subsurface drainage problems-water accumulating just under the surface of your site, or a spring running under the properties not an issue for spas, but may make the excavation for a pool more expensive; a drainage system may have to be installed under the pool to carry away the water. Sometimes, a soggy low spot or especially lush vegetation will alert you to an area of poor underground drainage on your property. Most of the time, though, the condition is hidden until you dig a test hole or start excavating your pool. Ask your pool-owning neighbors if they had any subsurface drainage problems; you can also consult local soils engineers, pool contractors, and building inspectors. Water drainage involves disposing of the pool or spa water if you have to drain it, and disposing of the water from the filter when it is serviced. Dumping 30,000 gallons of chlorinated pool water in your garden would kill all your plants-not to mention the damage it would inflict on neighbors’ yards. For information on correct drainage and disposal of pool water, contact the state or regional office of the U.S. Environmental Protection Agency. Whether you plan to install a spa or a pool, designing and building on a sloping site requires the services of experts. The steeper the hillside, the more important these experts are. The angle of the slope, the nature and stability of the soil, the design of the pool shell, and the method of anchoring the shell to the slope all must be considered. Despite the problems, a hillside can allow a designer to create impressive designs. The pool can appear to soar into space or be nestled in a grove of trees. Few hillsides are too steep for a pool builder pools have even been suspended from the edges of cliffs. Support and drainage: A hillside pool needs to withstand earth pressure on one side and have well-engineered support on the other. Downslope supports for the pool should be built on a solid foundation, preferably rock. Retaining walls on the upslope side, sometimes incorporating the pool structure itself, must be sufficient to contain a possible earth or loose-rock slide and resist earthquakes. Surface water must be routed around the pool to a lower slope, and decks must be designed to prevent water from seeping into the ground near the pool. Hillside sites also pose special construction problems for spas. For a portable spa, a level cut has to be made in the hillside and a retaining wall built to hold it up. Any retaining wall over a few feet high should be engineered by a professional. A slab made of reinforced concrete is then poured to support the spa. An in-ground spa on a hillside also requires a retaining wall, but one on the downhill side. The wall supports the spa shell and helps to contain the sand base on which the shell rests. Depending on the lot, you may be limited in the choice of size, shape, and type of construction you choose for your pool or spa. Take the time to seek out companies and contractors with a reputation for tackling tough problems. Pool or spa access and adequate decking can be a challenge. It’s a good idea to plan the area completely on paper, including all steps, decking, and structures. If the site is too confined, any installation may be impractical. Finally, consider the costs involved. The additional expense of building a pool or spa on a steep hillside can occasionally equal and even exceed the cost of the unit itself. But if your lot is not excessively steep, expect only a moderate increase in cost. 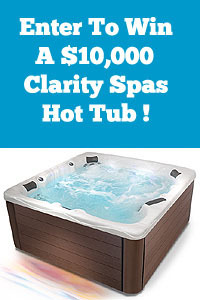 Some spa and tub enthusiasts prefer an indoor setting, for several reasons. There’s the obvious advantage of having the spa or tub sheltered and accessible day and night, year-round. (In harsh climates, it’s often necessary to have an indoor site that provides complete shelter of the support system plumbing.) And where privacy is essential but impossible to achieve in the garden, the house will provide it. Where the safety of children especially neighborhood children difficult to assure at an outdoor site, lockable doors solve all manner of legal and personal worries. Compelling as one or more of these reasons may be, they do not make it any less difficult to locate a spa or tub inside. 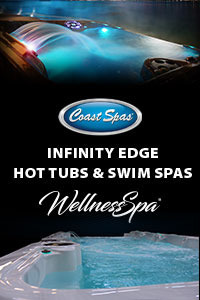 Integrating a spa or tub into the layout of a home takes a good deal of thought. As one side effect, these facilities are marvelously efficient manufacturers of humidity-a plus if you live in a dry climate, an uncomfortable handicap if your air is characteristically heavy with humidity. To accommodate this, your home’s HVAC system (heating, ventilation, air conditioning) should be modified. Choosing an indoor location: As anyone who has had to fit a new bed into a well-ordered house knows, an object 5 feet across cannot be slipped into a place unnoticed. When it is for such a singular purpose as a spa or tub is, the task of fitting it in place becomes doubly difficult. Your first consideration should be traffic patterns. To be an oasis of calm, the spa will have to be away from the comings and goings of people in a hurry. This means putting it in a room that does not carry through traffic or serve several other purposes. Try to locate your spa near a dressing area; trails of water across the house can be a nuisance to clean up. Consider locating it within reasonable reach of the outdoors. Even a nook-size deck or patio nearby can provide a pleasant place to relax. Once the problems of location are solved, the special requirements of construction must be faced. Weight and humidity are the two most complex and vital concerns. Standard floors are designed and built to support 40 pounds per square foot. A small spa filled with water and two adult bathers can easily apply 250 pounds to the same square foot. For this reason, it’s critically important to provide an adequate foundation. To support a spa safely, an existing wood frame floor usually requires re-engineering; often, even a concrete slab in the basement must be replaced with a thicker, reinforced slab. The requirements your building code sets for an indoor spa’s foundation, plumbing, and wiring-coupled with the need for efficient ventilation-explain why the best time to think about an indoor spa is prior to new home construction or room addition. Major remodeling within an existing building is unquestionably the most problematical route to a hot soak. In addition to the need for an adequate substructure, flooring should slope toward a drain and be constructed of such materials as ceramic tile, concrete, rubber, reinforced PVC, or masonry-materials that aren’t affected by large doses of water. Walls and ceilings must have insulation with a vapor barrier to resist moisture. (This applies to interior as well as exterior walls.) The rest of the house also needs protection from the increased humidity levels. Controlling condensation: Efficient ventilation and a dehumidifier are your best means of controlling the condensation that can collect on walls, windows, and ceiling, even when the spa is not in use. Covering the spa with a thermal blanket or a solid spa cover will also minimize condensation. To have the maximum control over your indoor climate, it may be necessary to back up the natural cross ventilation with a forced air system or a closed-loop energy recovery system. In addition to ventilation, plan on double-glazed windows and skylights that improve insulation and inhibit condensation. Walls paneled with unfinished wood and moisture loving plants are useful because they absorb excess moisture. There are a variety of professionals who can help you plan your pool. Architects and landscape architects: Many homeowners retain an architect or landscape architect for projects involving a pool and the surrounding environment. These professionals are state licensed and trained to create designs that are structurally sound, functional, and aesthetically pleasing. In addition, they are familiar with construction methods and materials, understand the mechanics of estimating, and they can negotiate with and supervise the contractor, ensuring that your work is done in compliance with specifications. Landscape designers: Landscape designers usually have the education and training of landscape architects but are not state licensed. Some landscape designers are licensed contractors, however, and can both design the landscaping for your pool and actually build it. Soils and structural engineers: If you are planning a pool on an unstable or steep lot, in an earthquake zone, or where drainage, groundwater, fill, or clay may pose problems, your building department may require that you consult with soils and structural engineers and obtain engineering reports. Soils engineers evaluate soil conditions on a proposed site and establish design specifications for foundations that can resist whatever stresses unstable soil exerts. Structural engineers, often working with the site evaluation and calculations provided by a soils engineer, design pools and foundations for other structures. They may recommend soil modifications. Pool and landscape contractors: Pool contractors specialize in pool construction, while landscape contractors are involved in garden construction. Both are state licensed. Some also have design skills and experience; their fees for designing usually are included in the price bid for performing the work. Pool and landscape contractors are responsible for hiring workers or subcontractors, ordering materials, scheduling work, obtaining permits, scheduling inspections, and seeing that the job is completed according to the contract. The best way to choose a professional is to collect recommendations from pool owners and inspect the person’s work. Though some excellent professionals have no professional affiliation, many belong to the American Society of Landscape Architects (ASLA), the American Institute of Architects (AIA), the International Association of Aquatic Consultants OAAC), the Association Of Pool And Spa Professionals (APSP) , or other organizations. To locate members in your area, contact a nearby office. It’s important to check out all prospective builders. Visit their showrooms and offices. If you’re working with a landscape architect, ask for the names of several pool builders. Ask the companies you’re considering for names and phone numbers of their customers. Ten or so should give you a good sampling. Check for a company’s membership in a trade association. Call the Better Business Bureau. The quality of the information you receive varies; it can range from an evaluation of the builder’s reputation to only an acknowledgment that the company is a member. Some building departments sell lists of pool permits issued for the year with the names and addresses of owners and builders. Ask owners about their experiences. Check the records in the county clerk’s or recorder’s office for legal actions filed against companies you’re considering. Several actions filed in a short period, or a continuous history of law suits, warrant further investigation. Verify that the salesperson who calls on you actually works for the company he or she represents. The company must be licensed by the state to build swimming pools. You may be able to check with the contractors’ licensing board for specific information about the company. Find out whether the company uses its own men and equipment or hires subcontractors to do some or all of the work. Don’t eliminate companies that subcontract much of their work for that reason alone; many small companies operate very efficiently this way. Select three or four companies and ask them to submit bids on the pool you want. Unless you are certain what kind of pool you want, choose the companies that will bid on your pool based on their reputations, rather than on the type of pool they build. Have each builder you’re considering bid on the exact same package you and your consultants have prepared. If the companies are equally proficient, you can make a final choice on the basis of the bids they submit and the convenience of their construction schedules. But take your time, particularly if the bids vary widely. If, on the other hand, the proposals don’t include all the same elements, you’ll have to take the differences into account when comparing bids. Neither automatically accept nor reject a bid that is unusually low. Instead, find out why. If the bidder forgot you had mentioned boulders at the pool site, and you signed the contract knowing this, he or she could probably recover the added costs in court if you did not pay. Without a signed contract, you’ll have nothing but trouble. A contract is an agreement between two parties covering the performance of certain work for a certain amount of money. A good contract-whether it’s the standard contract used by the builder or one prepared by your attorney-protects both your interests and the builder’s. It must be tightly written, describing everything to be done and by whom, as well as everything not to be done. Don’t sign it until you read and understand all of it. Plans and specifications: These must be in sufficient detail so as to allow no question about what is to be built. A plan drawn to scale and attached to the contract should show the location of the pool on your property; the pool’s shape, size, and dimensions; and the location of the support system, including filter and pump, solar panels (if any), heater, return lines, and main drains with pipe sizes, skimmers, and accessories. Contracts for air-sprayed mortar (gunite) pools should contain a tolerance provision with a financial consideration for undersized and oversized dimensions. If a dimension comes out smaller than what you contracted for, you get a rebate. If larger, you pay an additional fee. The tolerances for a well designed and well-built pool should be within 1/8 inch. Performance: The contract should specify all the work to be done, materials to be used, equipment to be installed (including manufacturer and model number), and any optional features to be considered. The date work will start and end should be stated (unless local weather conditions don’t allow it), as well as any penalties for late work. It should also note the time when the owner will become responsible for the maintenance of the pool. In addition, the contract should lay down conditions for suspension, arbitration, and termination (under federal law, you are allowed three business days after signing the contract to change your mind). Excavation and grading: The contract should state the costs of gaining access to the site, relocating utilities, and excavation of any unknown underground hazards whether man-made or natural. It should also assign responsibility for final grading and for the removal of building debris and surplus earth and rock. Costs and payment: Outlined in the contract should be the cost of the specified work and any options, the payment schedule (a series of payments based on work completed), and the question of ownership in the case of bankruptcy. Consider the payment schedule carefully. On the one hand, to ensure that you won’t have paid in full for an uncompleted pool, you may want to make partial payments as different stages of the work are completed. The builder, on the other hand, would prefer to be paid before the work is completed, in order to be paid in full by the time the job is finished. Legal provisions in the contract should include the validity period for the agreed upon price, responsibility for permits and zoning compliance, and provisions for mechanic’s lien releases as the labor and materials used are paid for (these come from the contractor and any subcontractors and material suppliers involved). These releases are necessary because even though you’ve paid the contractor, if he or she has not paid those who have done work or supplied material on your property, you can be liable for the amount owed. In addition to requiring lien releases every time you make a payment, you can request that the pool builder post a bond assuring payment to subcontractors. Liability for damages and personal injury and guarantee provisions for the contractor’s work and any equipment installed should also be written into the contract. Under federal law, you must be advised that equipment warranties are available, and you must be given the chance to examine them.